Play at least one Number 10 card and win the game. Play 3 investment cards in one expedition, win the round with 150 or more points, and win the game. Win 20 single player games in Normal or Hard difficulty. Win 20 times in 1vs.1 online matches. Win 20 times in 2vs.2 online matches. Win 50 single player games in Normal or Hard difficulty. Score 100 points in one round and win the game in any game mode. Score 250 points in a 3-round game and win the game in single player or online. 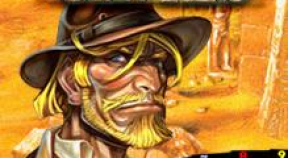 Play more than 9 cards in one expedition and win the game in single player or online. Play 5 Number 10 cards in a game round, win the round, and win the game in single player or online. Win 300 times in any single player or online modes. Build 5 expeditions in 1 round, win the round with 80+ points, and win the game in any mode.